With the December 18th release of the new Star Wars movie, Star Wars: The Force Awakens, you may want to decorate your home with Star Wars related Christmas decorations. If so, then Anthony Herrera has got you covered. 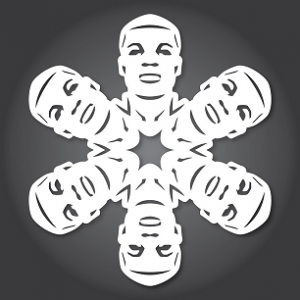 Here is his website for the Star Wars snowflakes, where you’ll find the designs for seven snowflakes including Rey, BB-8, and Finn, as you see above. 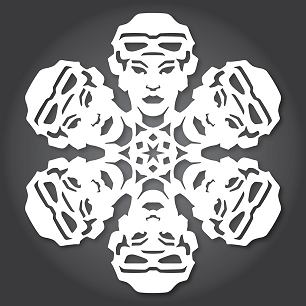 Mr. Herrera has also created designs for a First Order Stormtrooper and Kylo Ren Lightsaber. 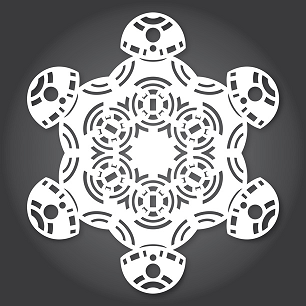 Recently, Mr. Herrera has been expanding beyond doing only Star Wars snowflakes. Now he has a collection for Frozen and Guardians of the Galaxy.